When folks think whiskey, they think Tennessee or Kentucky. But the story of American Whiskey began in Pennsylvania, where Kinsey was born in the 19th century. Kinsey is a homage to our original distillery along the Schuylkill River, which once held the world’s largest collection of aging whiskeys. This rye whiskey is our interpretation of one of those classic Pennsylvania Whiskeys, aged in new white oak cooperage and bottled at 86 proof. 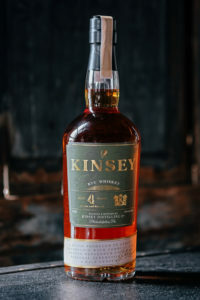 Kinsey Rye has a surprisingly rounded sweetness for a rye, with dry spice, ripe starfruit, and melon on the palate and a finish redolent of pepper and molasses.